Built to blend effortlessly with 5.11’s line of bags, packs and duffels. This pouch provides a lightweight, cross-seasonal storage solution for your radio. Crafted from the contemporary application of rugged nylon, this pouch will serve you well for years to come. An adjustable elastic cord and a reliable locking clasp secure your radio firmly in place at all times. 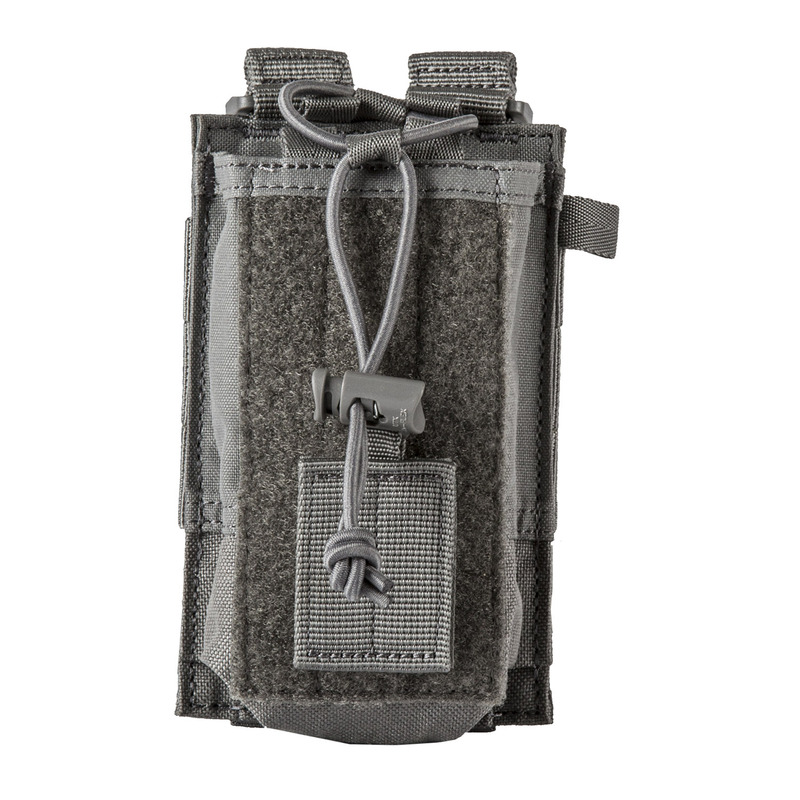 MOLLE compatible for seamless assimilation into your existing load out. 5 3/8" x 3 5/8" x 1 1/2"